The American people may soon witness the grand finale of the Deep State’s witch hunt against President Donald Trump led by the Assistant Attorney General Rod Rosenstein hand-picked Special Counsel Robert Mueller, the reputed bully and unethical prosecutor Andrew Weissmann, as well as their evil, left-wing prosecution team. In two news-story videos being aired on Wednesday by Conservative Base editor and former law enforcement official, there are rumblings within the U.S. House of Representatives by congressional staffers. There are statements and other evidence pointing to Rosenstein (See videos at bottom of page). 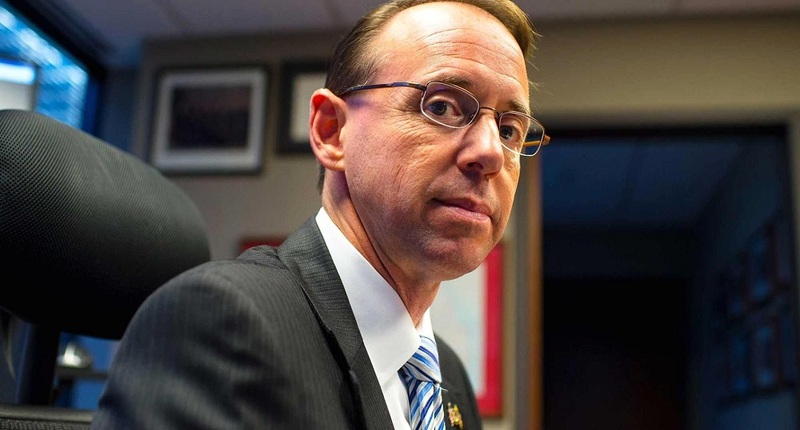 Rosenstein is the basically pseudo-Attorney General running the Justice Department due to “impotent” Attorney General Jeff Sessions’ voluntary recusal from taking part in the Trump-Russia Collusion case, arguably the most far-reaching government scandal in modern U.S. history. Because the chairmen of the House oversight committees are seeking the release of documents many claim are embarrassing to members of the Federal Bureau of Investigation (FBI) and the Department of Justice (DOJ), Rosenstein has made threats of “going after House staffers and confiscating their email and other documents. Many believe — including current and former DOJ prosecutors and federal cops — that this is the result of an independent-minded judge before whom watchdog attorneys appeared in the past, the Honorable Emmett Sullivan, ordered the release of even Mueller’s communications with the news media by September 4, 2018. Unbeknownst to many Americans, who are kept in the dark by an elite group of powerful news organizations, the FBI and DOJ have been obstructing the investigative work of both government oversight officials as well as non-governmental attorneys such as Larry Klayman, a former DOJ prosecutor and founder of Freedom Watch; Tom Fitton, the top officer of the well-regarded and successful Judicial Watch; and the husband-and-wife attorneys: former U.S. Attorney for the District of Columbia (1983-1988) Joe diGenova and his wife serving as Trump legal adviser, Victoria Toensing. According to Mr. Klayman, who originally founded Judicial Watch, these communications are expected to expose criminal leaks of Grand Jury information with their and the Deep State’s goal of destroying President Trump, his family, and his closest associates. But if these documents involve criminal leaks, Mueller and his gang would either be forced to resign — or finally be fired — and may be charged with criminal malfeasance. If such a move is carried out, then “our President [would] be able to focus on the affairs of state that urgently need his attention, such as pursuing an end to the crisis on the Korean peninsula, securing our borders, and many other critical challenges facing our country,” said Klayman. Klayman, Tom Fitton of Judicial Watch, and Jay Sekulow of the American Center for Law and Justice, all use the federal courts to obtain proof of government corruption and politically-motivated crimes. 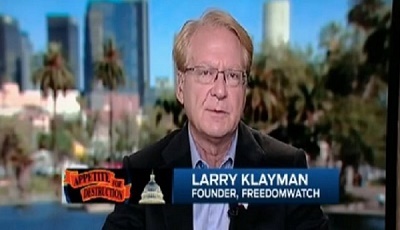 “[T]his fight is nowhere near over, and I will continue to battle the ‘Deep State’ globalist political establishments of both parties to see that the Obamas, Clintons, Mueller, James Comey, Loretta Lynch, John Brennan, James Clapper, and the rest are held accountable for their treachery,” stated Klayman. Wall Street Journal editorial board member Kimberley Strassel on how Deputy Attorney General Rod Rosenstein threatened to subpoena lawmakers. Fox News’ Catherine Herridge reported Tuesday on emails that described a tense closed-door meeting in January. Written by commitee staffers, they said Rosenstein threatened to subpoena emails, phone records and other documents from lawmakers and aides on the House Intelligence Committee — in response to inquiries regarding the Russia probe. Jim-Kouri, thank you ever so for you post.Much thanks again. That is very amazing post for me. I am very appreciate your writing. Thanks for sharing with us. it’s a really awesome post. Thanks for sharing it.